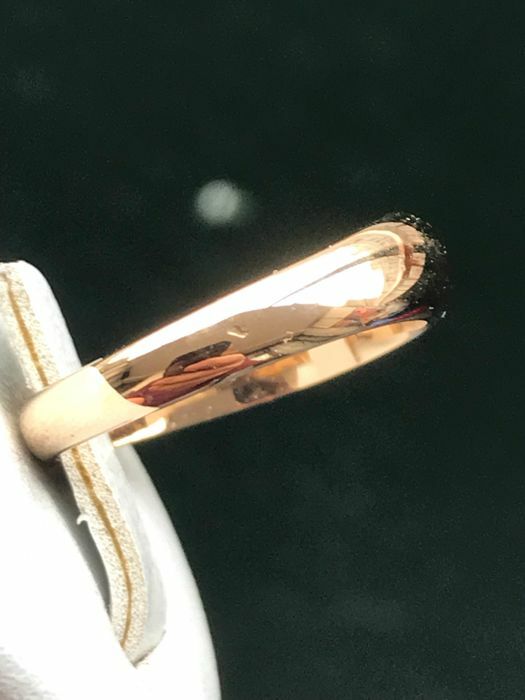 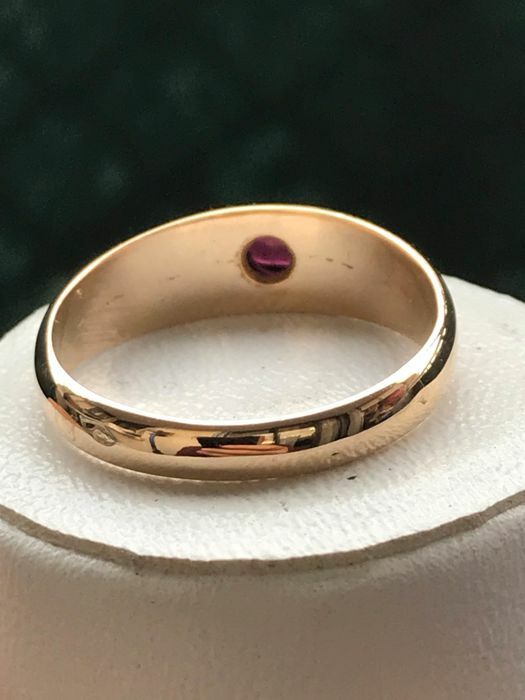 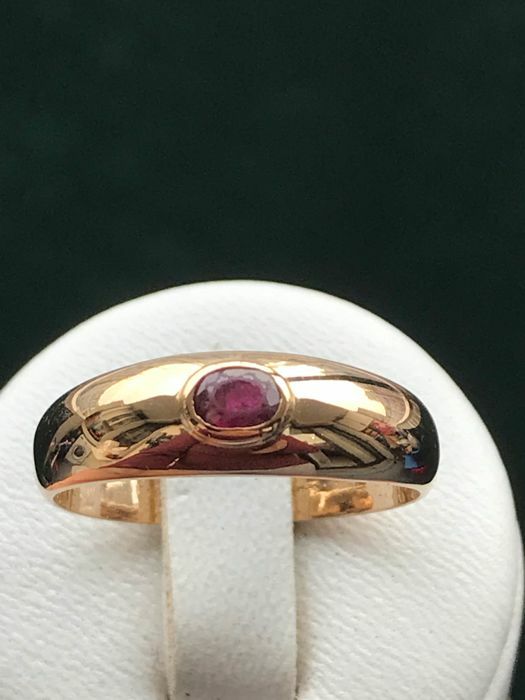 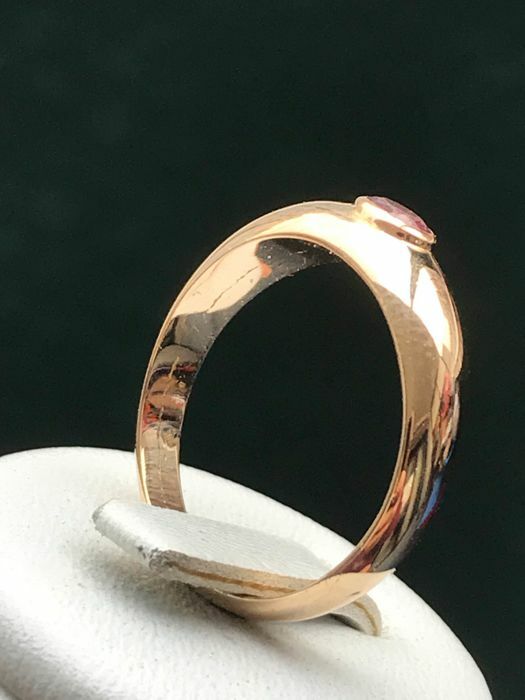 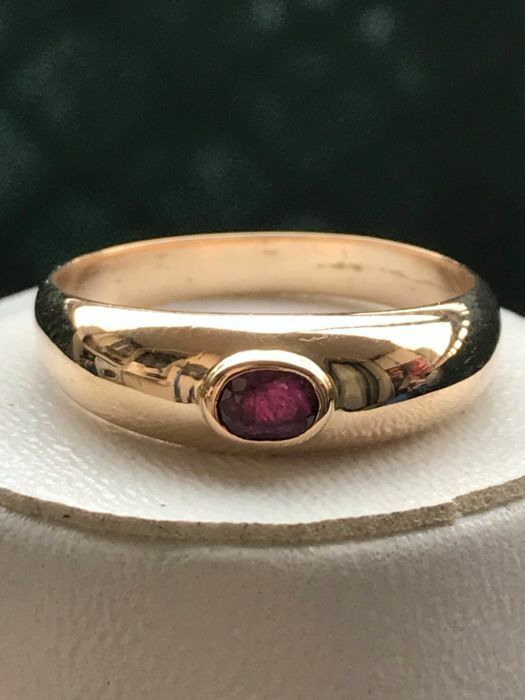 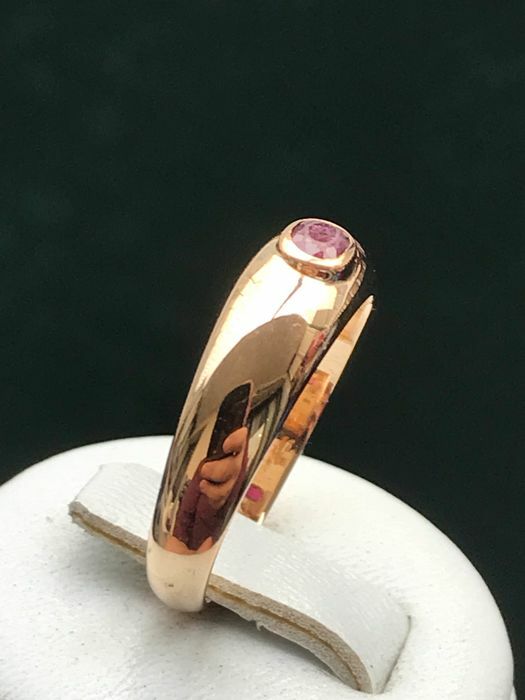 Pretty solitaire ring in 18 kt yellow gold set with a ruby of approximately 0.20 ct, oval cut, mounted in a solitaire setting. 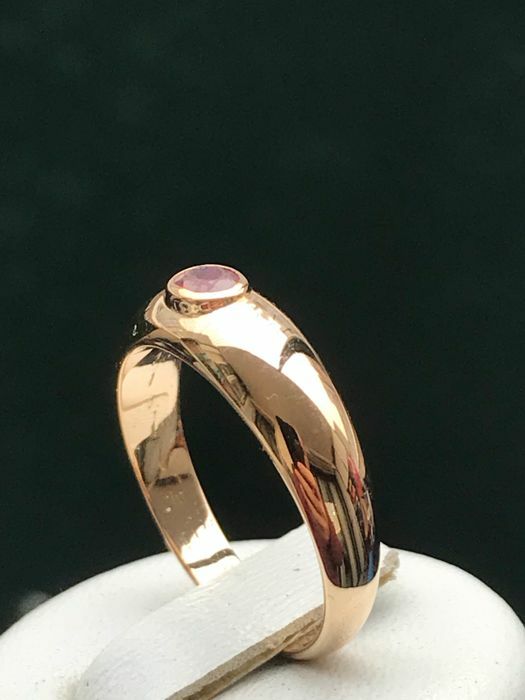 Comes in a pretty jewellery box. 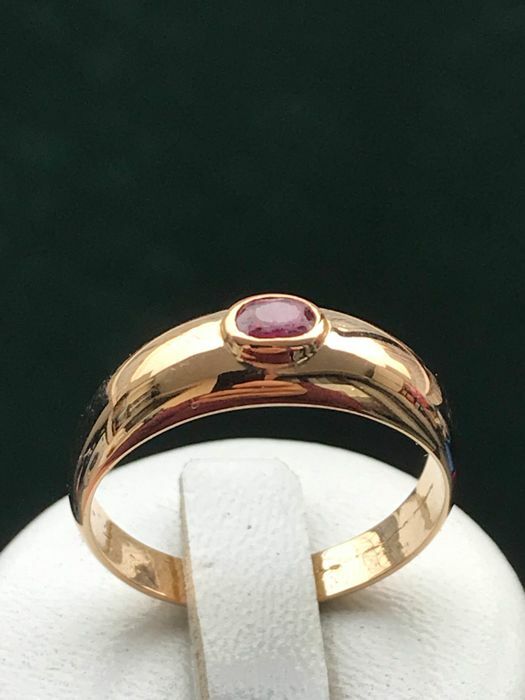 Delivery with insurance and tracking.